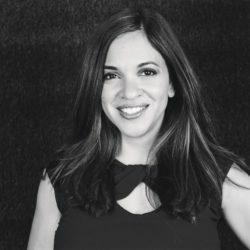 As a second generation woman, our traditions and the way we celebrate holidays are as much American as they are Puerto Rican. My father was born in Puerto Rico while my mother was born in New York, and having spent most of their lives in the US, they readily identified with both cultures. As a young girl, I grew up with some knowledge of my culture, primarily shared and passed down through food, language and stories told by my ancestors. Because Puerto Rico is a US territory, each member of my family is considered a US citizen. In many ways, I find this ideal because the transition between cultures is seamless, yet as a people, we are able to retain all of what makes us Puerto Rican, including our language and traditions. The celebration of my culture is most evident during holidays (both American and Puerto Rican), and while I celebrate Independence Day as most Americans would, it is the time with friends and family over a meal and conversation that I’m able to re-connect with my culture. Blending those traditions can be as simple as cooking a traditional Puerto Rican dish or barbecuing with family while music from our culture plays in the background. 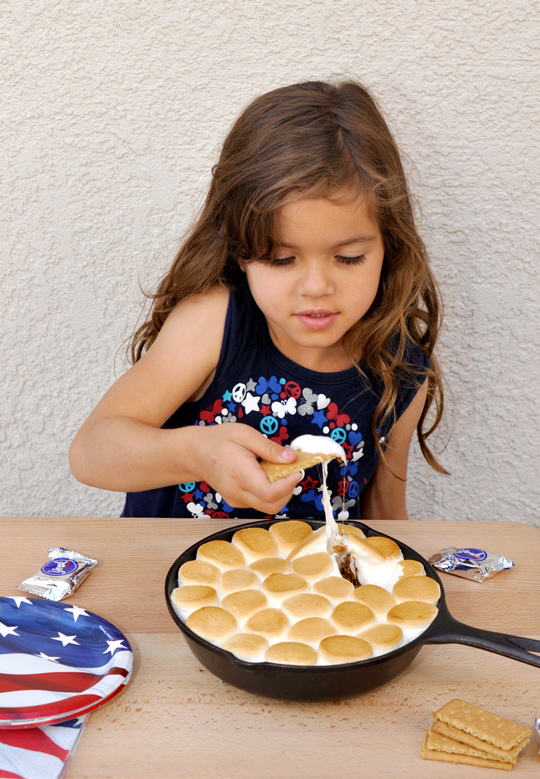 And regardless of how or where we are celebrating, I always associate Summer holidays and get-togethers, particularly 4th of July, with S’mores. Throughout the life of this blog, I’ve shared my favorite S’mores Recipes including S’mores in a Cup and S’mores in a Jar. As a mom to a boy scout, I’ve become very familiar with cooking meals using a cast iron skillet. 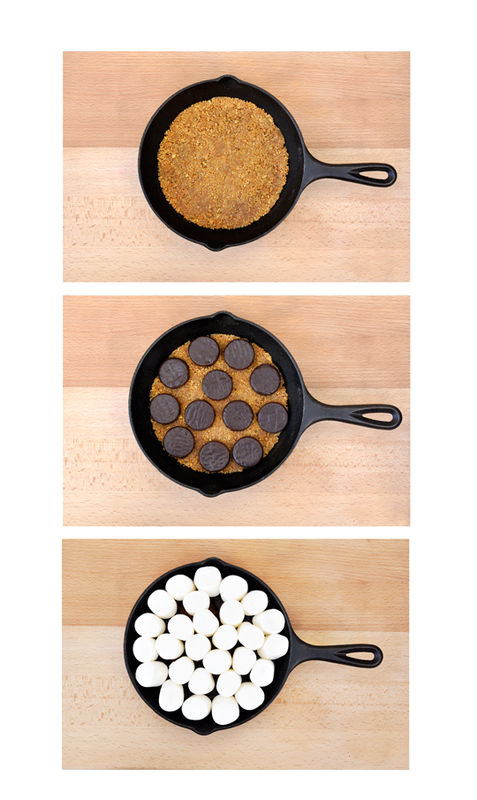 If you don’t have access to a fire pit or you’re looking to make indoor s’mores, you’ll love this Dark Chocolate Peppermint Skillet S’mores Recipe! Here is the recipe and what you’ll need to complete this recipe (in addition to a cast iron skillet). What is your favorite way to celebrate Independence Day? 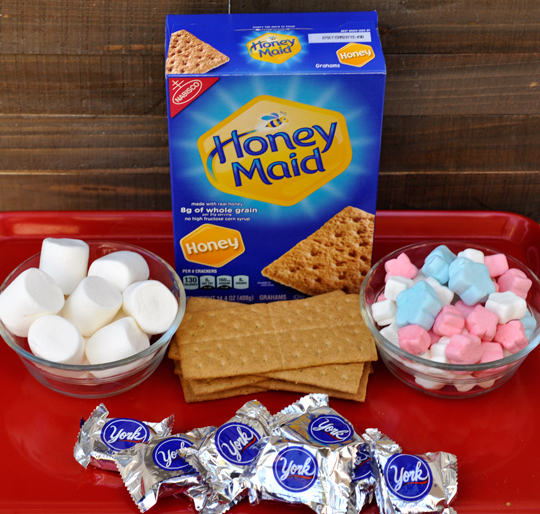 In our family, S’mores are the ultimate compliment to any 4th of July Party and Honey Maid offers several deliciously sweet tips and ideas for s’more fun! 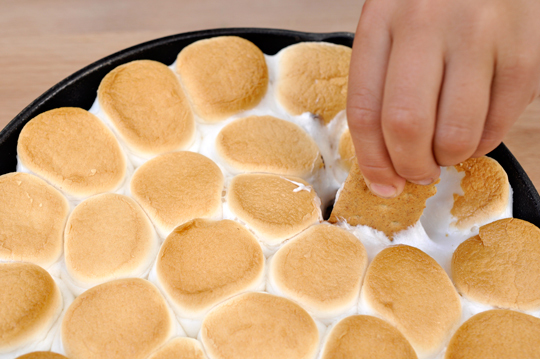 I’d love to see your food inspirations from your 4th of July celebrations or how you personalize the traditional s’mores recipe to make it your own. 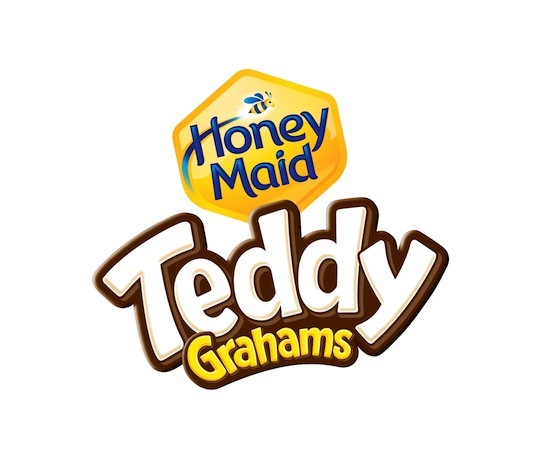 For recipes and information about Honey Maid’s products, including their brand new Honey Maid Teddy Grahams Birthday Cake variety, visit Honeymaid.com. oh man – i need to make this asap! Kate…my kids ate the ENTIRE DISH on their own!